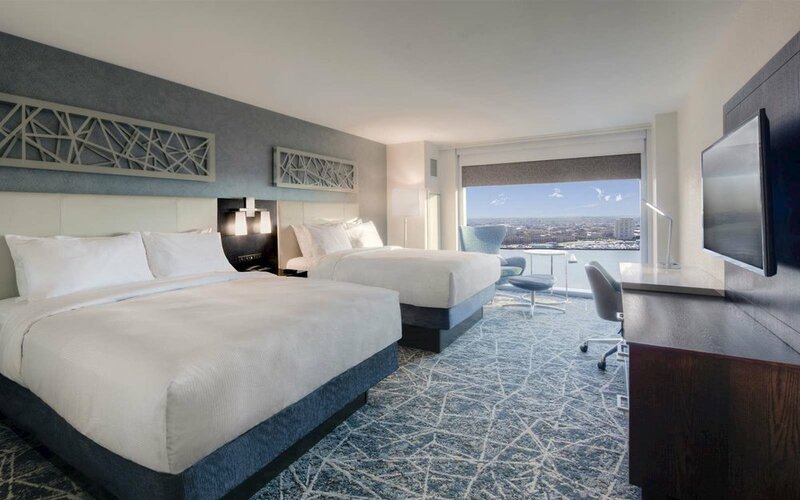 The Main is Downtown Norfolk's newest upscale hotel, dining and meeting destination. At Main and Granby Streets, the luxury hotel sits along the downtown Norfolk waterfront. Embrace the downtown lifestyle and walk to cultural attractions, trendy shopping and dining and the Elizabeth River. With its elegance and cutting-edge technology, Hilton Norfolk The Main is a modern luxury hotel with vibrant spaces for your business and social lifestyle. Registration rates include a two-night hotel stay and some onsite meals and activities. Installments are available with total payment due April 19, 2019. Remade by Grace Lip Sync Battle! In Chanelle Hardy’s world, law, technology and social justice merge into a purpose-filled career. She currently serves as Google’s strategic outreach counsel and head of policy partnerships for civil and human rights. At Remade by Grace, she’ll share how she’s using her platform, skills and gifts to advance policies and leaders that promote opportunity and justice. Joy Hill is a mother, a mentor and a minister of the gospel. Since she was a teenager, Joy has been inspiring audiences with her passion for God, and it has been her life's mission to lead people into God's presence and to see them delivered and set free through the power of Jesus Christ. Constance Berry Newman has been fighting poverty and advocating for civil and human rights for decades, holding seven presidential appointments in both Democratic and Republican administrations. Her work has left an indelible mark on the continent of Africa, where she helped expand children’s access to basic education. At Remade by Grace 2019, this Legend of Grace will help Grace Girls dream big to make an impact for Christ. As a spiritual advisor to members of the Congressional Black Caucus; an advocate for the underserved; and a mentor to pioneers in business, government, academia and media, Dr. Barbara Williams-Skinner has impacted the lives of numerous influential leaders. She’s bringing her wisdom to Remade by Grace 2019, offering legendary lessons to help Grace Girls step into formal and informal leadership roles that will change the world.